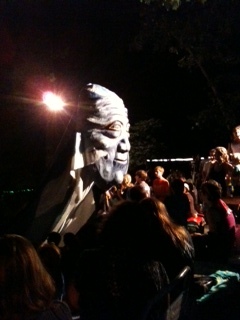 When the giant puppet representing the spirit of the River winds through the crowd at the end of the show, people of all ages ooo and ahh and cheer. What a feel-good experience! Trekkies! Relive those glory days.